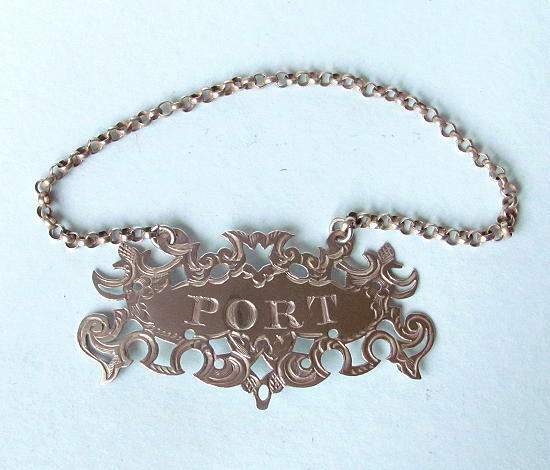 Beautifully made silver decanter label for port by Alfred Taylor. 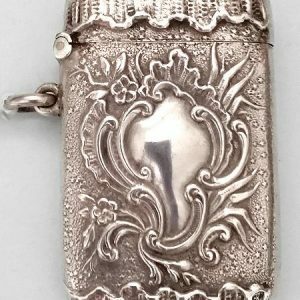 Hallmarked Birmingham 1855. 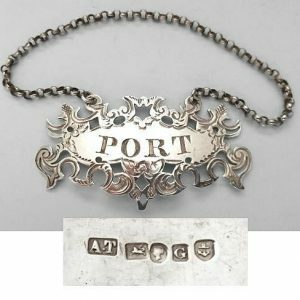 It has the original fused link chain and is in excellent condition throughout. 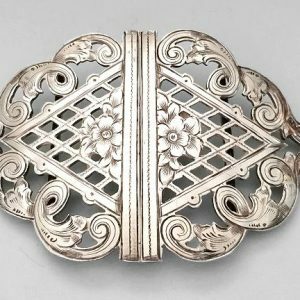 Measures 6cm across.